The first two are pretty much commonsense. I don’t want to get kicked out nor do I want to live in an apartment without any electricity or water. As for clearing out the refrigerator, it was a simple request. They didn’t want their food to go rotten so they gave me the enviable task of finishing it up. And I did, within three days. But my choices were pretty limited since one was vegetarian and the other was a semi-vegetarian. For some reasons, they both had one large jar of Neapolitan sauce each, so I spent three days eating pasta for lunch and dinner. I did try to spice it up by adding herbs but when you have pasta overflowing from every orifice, you feel like puking at the sight of any kind of pasta. I supplemented my pasta mania with a breakfast of chips. The vegetarian housemate, for some reasons, had three large bags of different chips: chilli-flavoured chips (my favourite), natural spinach chips (the only healthy chips) and honey-flavoured chips (some Korean snack). Of course, I was tasked to finish them up. I tried to spread out my pasta and chips ration by cooking up a batch of egg fried rice. That lasted me one breakfast, two lunches and one dinner. When the pasta, fried rice and chips ran out, I started hunting around the kitchen but only managed to find one packet of ramen. Now I was left with a nearly depleted refrigerator and kitchen. The only food left was vegetables, but those were for my rats. I couldn’t be bothered to stock up the refrigerator, so I walked to the MacDonald’s opposite my building and bought a large Big Mac value meal (with Sprite). Sometimes, I couldn’t be bothered to even walk to MacDonald’s that I would just head to the convenience stores below my building and buy more chips. So from last Wednesday afternoon till Sunday, I subsisted on a diet of chips, fried rice and pasta. On Sunday morning, I came to the conclusion that if I didn’t want to put my health at risk, I needed to start having proper meals again. The other reason for changing my meal plan was that with so much free time on my hands (damned job hunting is not working out as well as I thought it would be), I decided to start cooking again. So on Sunday afternoon, I went out and loaded up on groceries. The same night, I started prepping for my dessert. 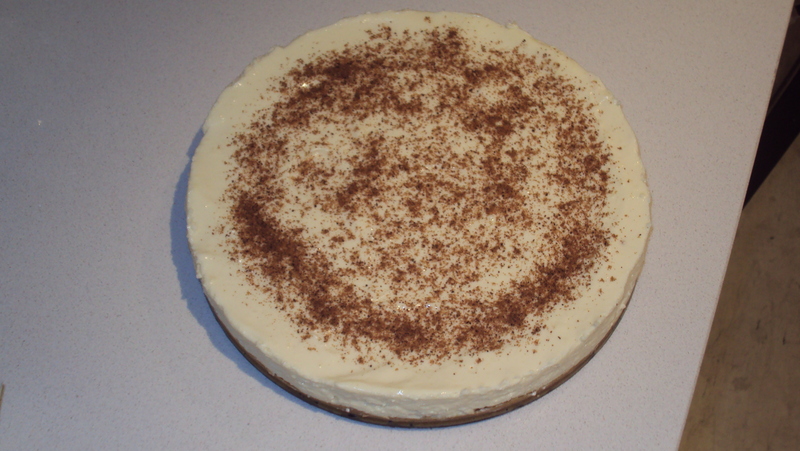 Lemon cheesecake with a dusting of nutmeg. 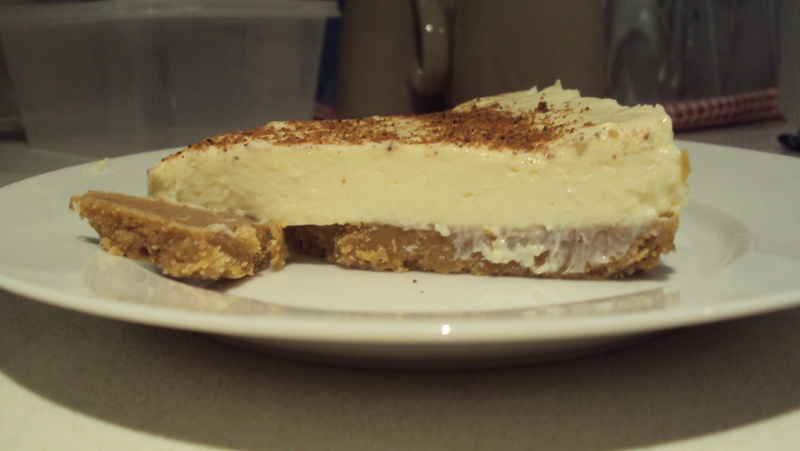 I tried my lemon cheesecake on Monday night after my hike from Bondi Beach to Coogee Beach with a couple of friends. The cake tasted okay, although I felt that there was not enough lemon zest to complement the sweet cheese cream (Mental note: add more lemon juice). 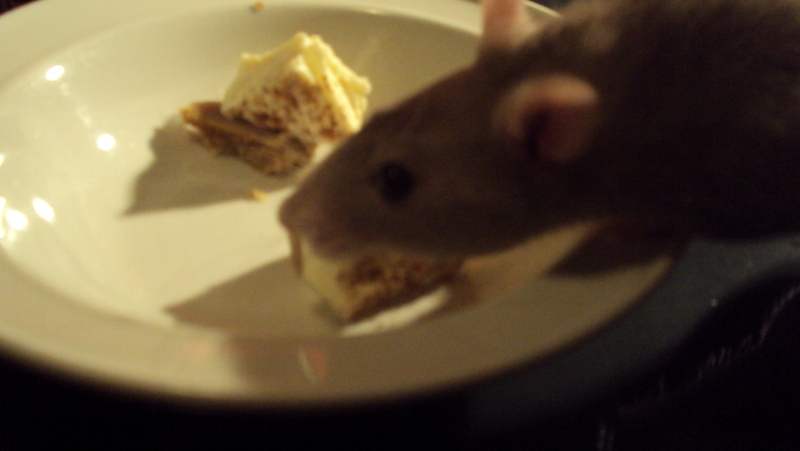 The nutmeg dusting was great though; it did added a little “oomph” to the cake. This was my third time making the cake and it was much easier than before. Not because the cake is hard to make (anyone can make it), but because my two housemates are such baking fanatics that they have almost every baking equipment. When I found an electric mixer, I was overjoyed because I no longer had to use muscle power to beat the mixture with a fork. 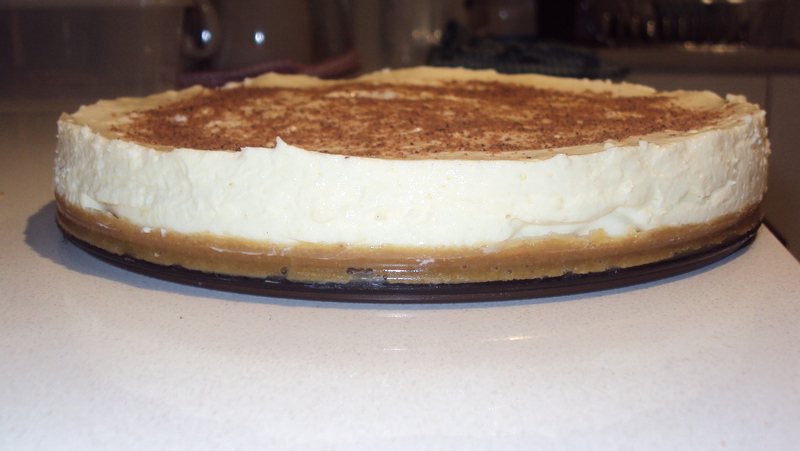 The result was obvious; the lemon cheesecake mixture came out much, much smoother. 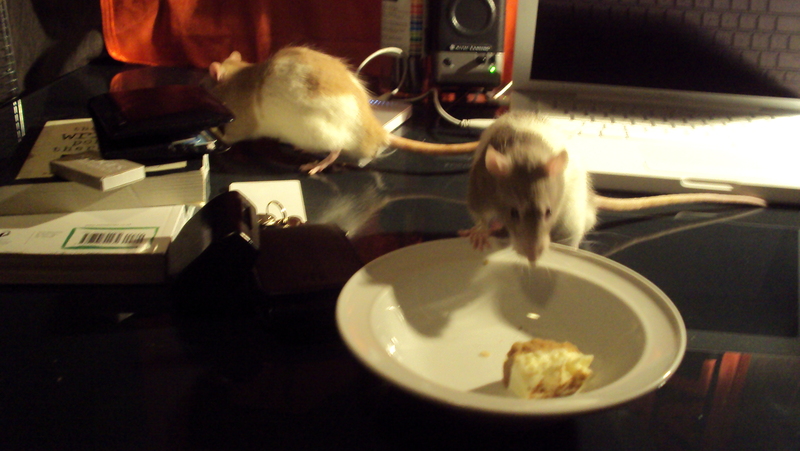 I gave some cake to Pan and Bentley and it seems that they really like it. 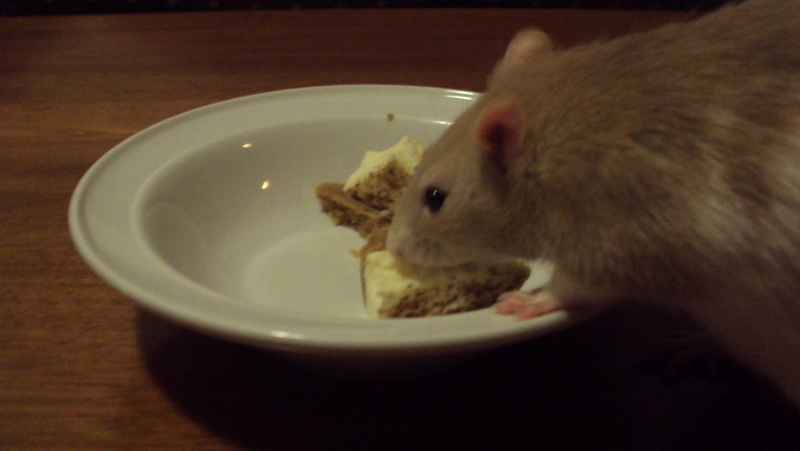 Pan testing out the cheesecake. On Tuesday, I had cheesecake and goat milk for breakfast. I had no meals for lunch and dinner because I was feeling a bit sick. 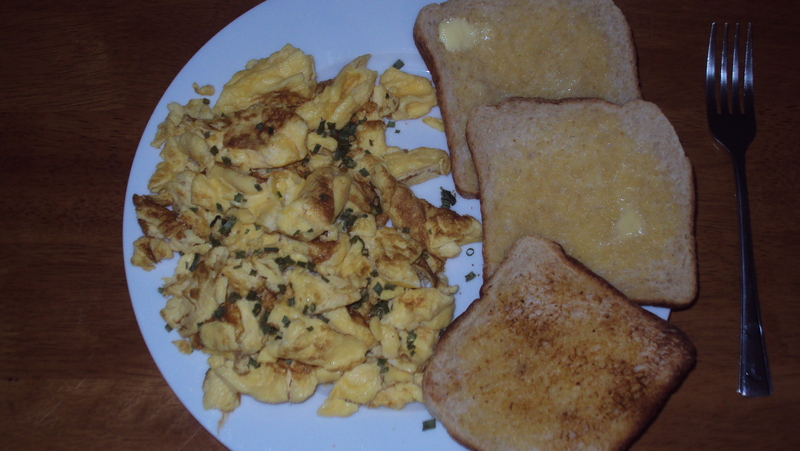 After almost 24 hours on starvation mode and feeling sufficiently better, I was feeling decidedly famished, so I cooked up a meal of scrambled eggs (garnished with chives) and toasts with olive oil spread. Drink of the meal was a glass of full cream cow milk. The scrambled eggs didn’t come out to my liking. It was slightly too salty and the milky taste was a bit overpowering. 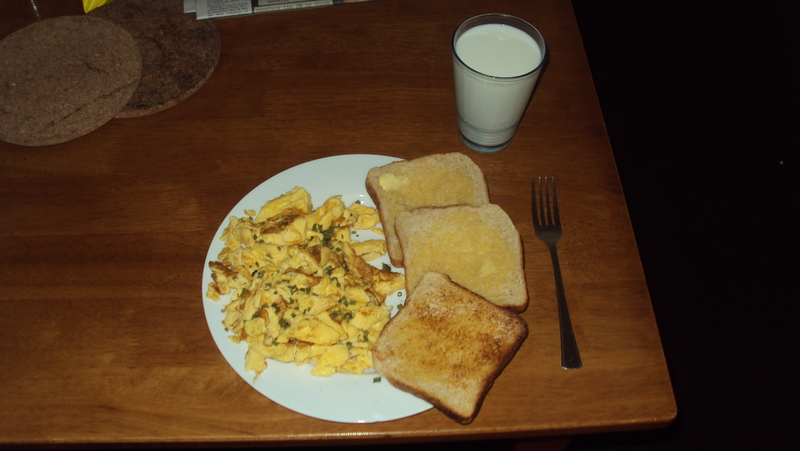 It was still delicious but it wasn’t the creamy scrambled eggs that I was after. Perhaps next time I’ll add cream instead of full cream milk. Unfortunately, I forgot to buy bacon. It was a very fulfilling breakfast though, much better than potato chips. 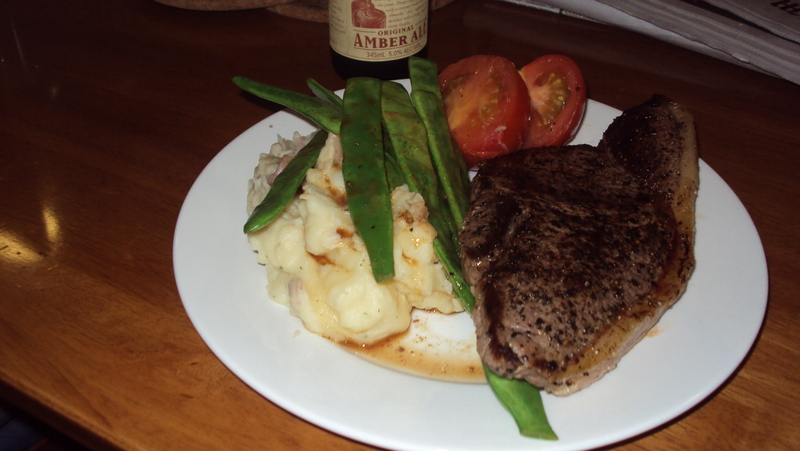 I skipped lunch since breakfast was quite a large meal and I was able to hold off until dinner, which consisted of mashed potatoes (garnished with Italian parsley), medium rare rump steak seasoned with black peppercorn and salt, and fried veggies. Drink of the meal was James Squire Amber Ale. 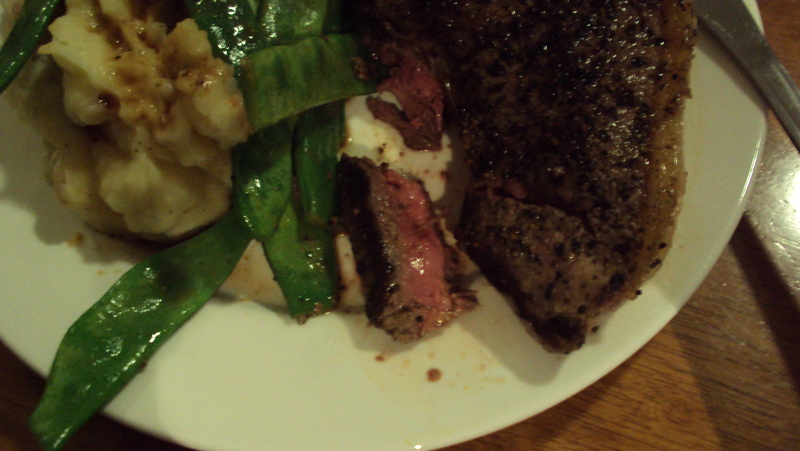 The steak turned out okay. It was juicy but a bit tough. 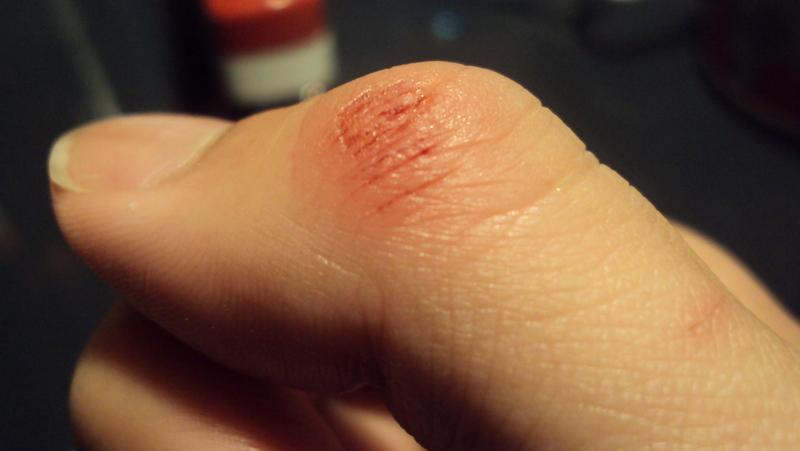 Should have tenderized the steak before pan-frying it. 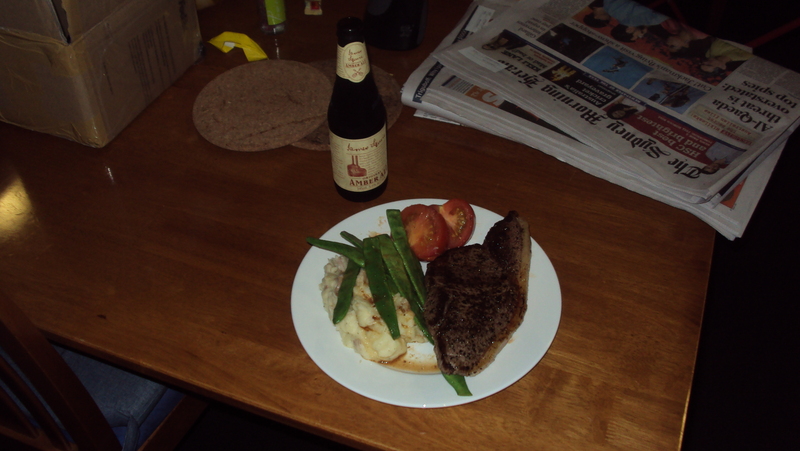 The mashed potatoes, however, came out fantastic. I was actually expecting lumpy, starchy mashed potatoes since I didn’t have any potato masher or rice miller (a lot of recipes call for either one). I just mashed the potatoes using a wooden pallet (again, I have no idea why my housemates have one) and they turned out surprisingly creamy. Of course, adding warm butter and hot milk certainly helped with the texture. I had to struggle to finish dinner as I overestimated the portion. At least it was better than struggling to finish a plain Neapolitan pasta. 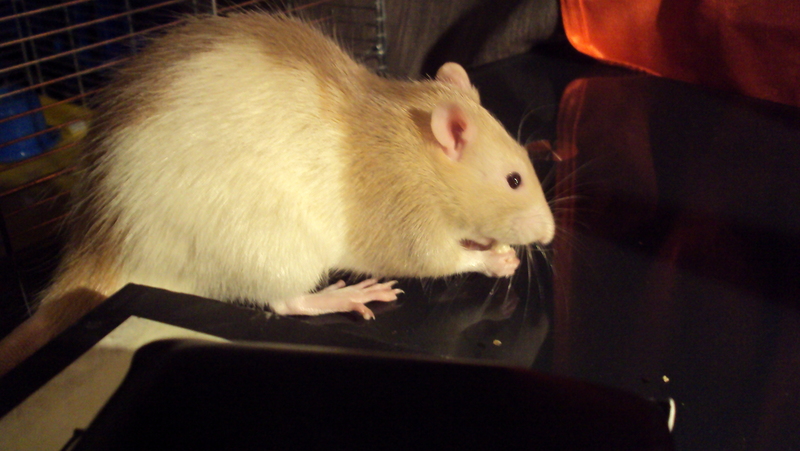 This entry was posted in Food, Rats by Zareth. Bookmark the permalink. Haha, I especially love the steak.